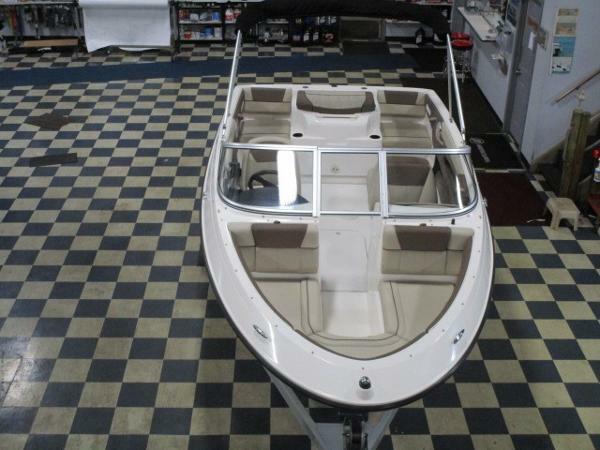 SALE PENDING 2007 Bayliner 185 BR CLEAN 2007 BAYLINER 185 BR! 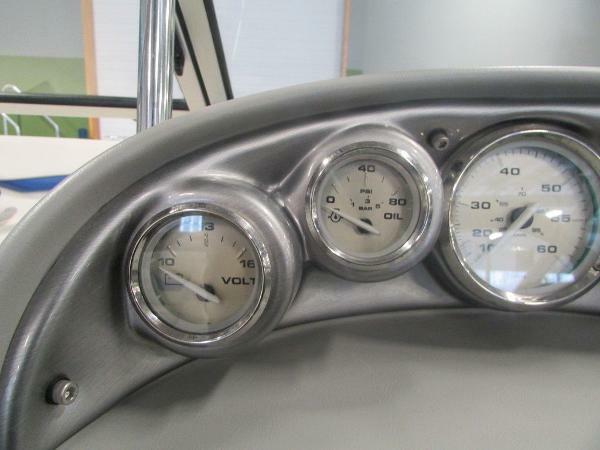 A 135 hp Mercruiser 3.0L 4-cylinder w/TKS (Turn Key Start) powers this fiberglass bowrider. 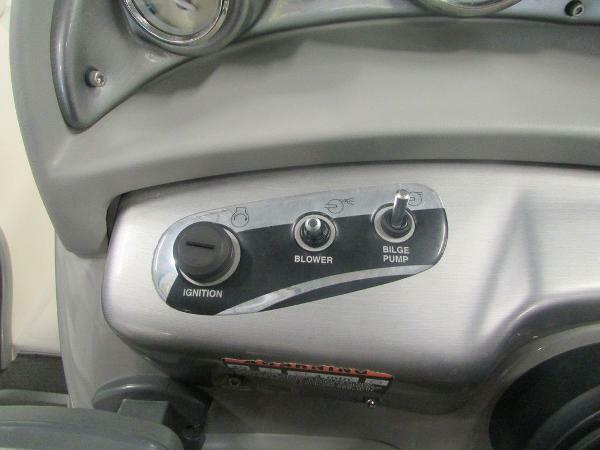 Features include: snap-on mooring cover, full walk-thru windshield, passenger console glove box, AM/FM stereo w/AUX input, tilt steering, Faria gauges including; speedometer, tachometer, trim, oil pressure, voltmeter, engine temp, and fuel; blower, bilge pump, electric horn, navigation lights, (2) 12-volt power outlets, Lowrance X67c fish/depth finder, bow fiberglass non-slip floor, cockpit carpet, u-shaped bow seating w/under and back rest storage, driver/passenger back-to-back seats (lay flat to make sun loungers), in-floor ski/board storage, cockpit port/starboard side storage, stern port/starboard seats w/storage, passenger safety handles, beverage holders, integrated fiberglass swim platform w/3-step telescoping boarding ladder, stainless transom ski tow hook, (6) mooring cleats, stainless skeg guard, fire extinguisher, marine cranking battery, 28-gallon fuel tank, and 8 person carrying capacity. Also included is a Karavan bunk trailer including; 13” wheels, composite fenders w/steps, swing tongue, tie-down straps, bearing buddies, and swivel jack. 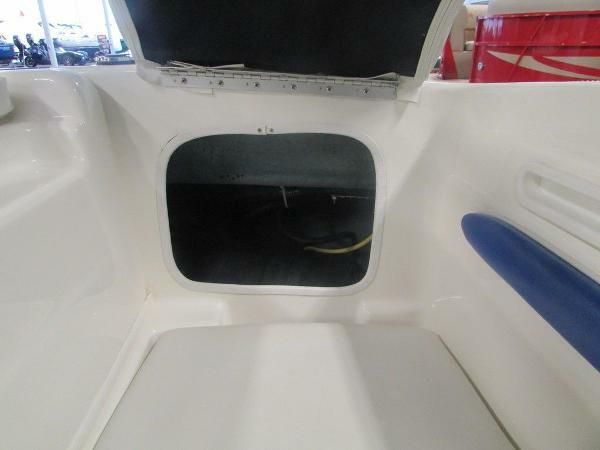 This boat is in very good overall condition with minimal wear (see pics/video). It has been inspected by our factory-trained technicians and is mechanically sound. Trades will be considered and delivery is available. Competitive financing rates and terms are also available. Approximate payment of $172/mo. w/20% down for 72 mo. (WAC). Leaders RPM is one of the largest marine and powersports dealers in the Midwest with over 70,000 sq ft of showroom, parts, and service under one roof located in Kalamazoo, MI. Price is plus sales tax/fees and is subject to change without notice.